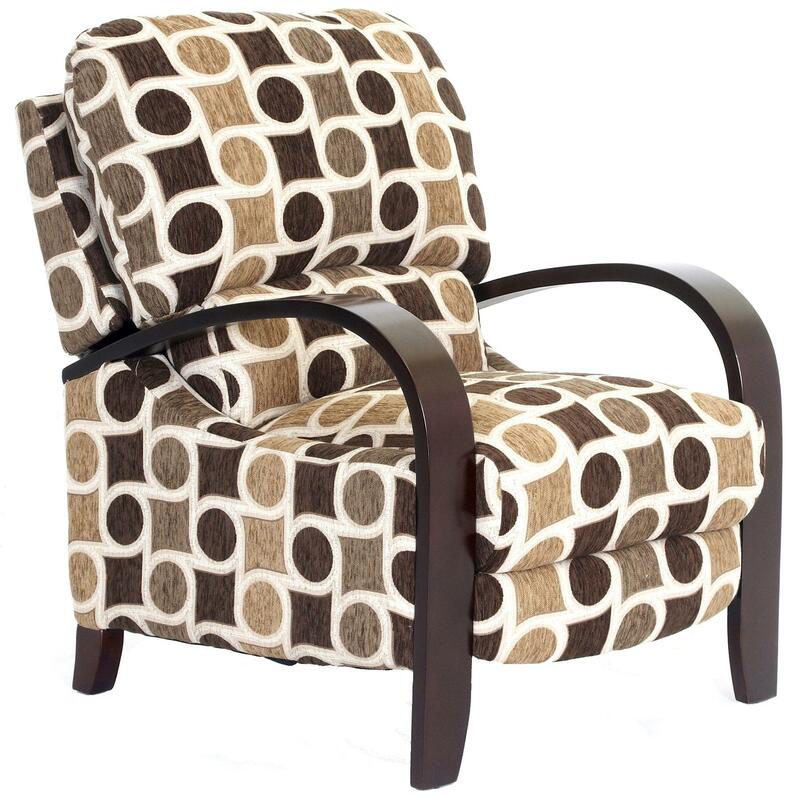 Refresh your living room or family room with the contemporary style of this recliner chair. This recliner features push through arms, with a three-way mechanism that allows you to recline back until almost completely horizontal. It includes a mechanism that has tension adjusters underneath, allowing each individual to customize the ease of operation based upon his or her body. It can be tightened for larger individuals or loosened for smaller people. This mechanism is particularly useful for the elderly or those who have problems operating a push through the arm recliner. Sleek exposed wood track arms and legs add modern details to the recliner. The 997 Contemporary Recliner with Push Arms by Synergy Home Furnishings at Miskelly Furniture in the Jackson, Pearl, Madison, Ridgeland, Flowood Mississippi area. Product availability may vary. Contact us for the most current availability on this product. Tailoring Padded sides enhance the quality of the chair and create a tailored look. Recliner Mechanism The chair uses a three-way mechanism that allows the user to recline back until almost completely horizontal. Wood & Finish Exposed wood arms and legs feature a warm brown cherry finish.